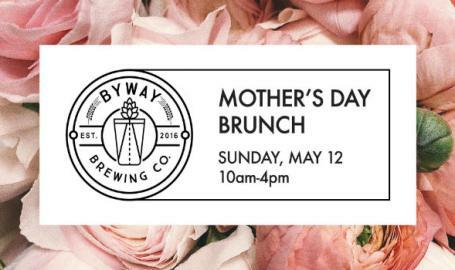 Celebrate the mom in your life with a special brunch menu and a beermosa! Stay tuned for our special brunch menu. Email phil@bywaybrewing.beer. Please include your name, # of guests, time, and a telephone number we can reach you at. The brewery will be open from 10am-4pm, kitchen closes at 3pm. The normal menu will not be available this Sunday.